I acquired my Galaxy Nexus last week. After a week spent browsing the Galaxy Nexus forums on the XDA Developers site, I realised that I had found a purpose and meaning for buying this expensive phone - loading custom ROMs. 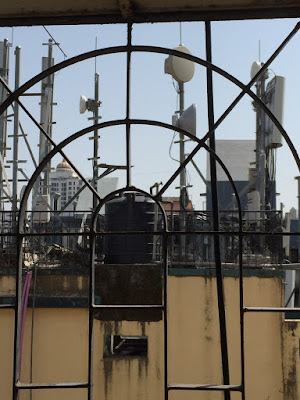 And I also understood that the gateway to this heaven was through unlocking and rooting my device. I have managed to do that successfully, and since then, my enjoyment of my phone has reached a whole new level. I intend to post about the new ROMs that I try out in the next few months. But I will start out with rooting because this is the key to unlocking the magic world of ROMs. You can find this information in the forums of XDA, RootWiki and several other sites. I'm putting it down here, because I am a newbie and I want to share the steps that I took! I have a Galaxy Nexus (GSM) phone which is not locked to a carrier, so the steps I am posting are only relevant to this device. This was the first thing I did. I spent two whole nights browsing the Galaxy Nexus forums on XDA developers and other sites to understand what happens when I root my device. First of all, I understood that rooting means that you get complete control over your phone, similar to 'Admin' rights on a Win PC. The real benefit of rooting, is that it's very hard to brick your device because you can always revert to a backup and restore your phone to an earlier state. I decided to use WugFresh's toolkit which I found on the XDA forums. This PC based program talked me through all the steps of rooting my Nexus. I mean literally talked at each stage and told me each thing I had to do. It was a fantastically painless process. All the information and video tutorials can be found on the thread that I linked. I only want to add one thing - rooting for the first time can be very scary because you have no idea what is happening! The only thing to do is to read everything and follow every instruction completely. That's all I did. Rooting was actually a two stage process. The first stage was 'unlocking' the device. The second step was rooting. At the time of rooting,two programs got loaded on my phone - one was Super User which acts as a command interface between you and your rooted phone. 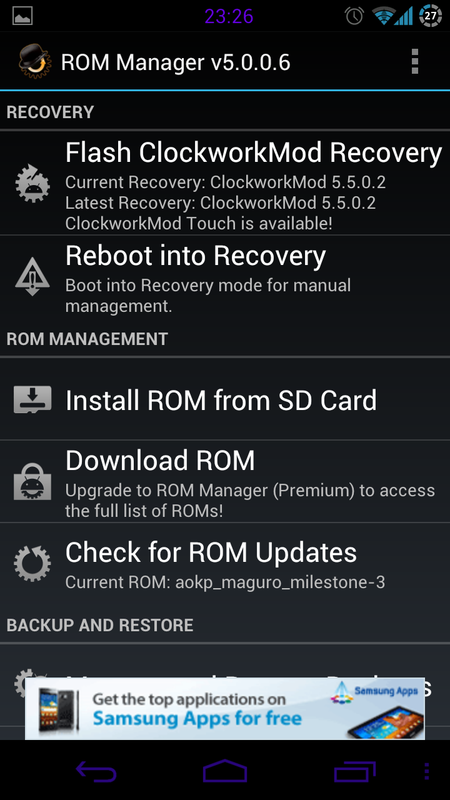 And the second was Clockwork Mod, which is the backup interface for the phone. I really faced only one problem while rooting. The first time the phone entered what I call DOS mode (no touch access), I panicked. No DOS experience here since WordPerfect days! I figured out that I need to use volume keys to scroll and power key to select. After rooting, I lost all apps and contacts (although I could recover it from Google). I personally think it's best to do this soon after you buy your phone so that you have not loaded too much on it! The first program I downloaded after rooting was ROM Manager and I flashed CWM Recovery as instructed in the rooting guide. I also installed ES File Explorer (a free download) to browse files on my phone. And that's how my rooting experience was!